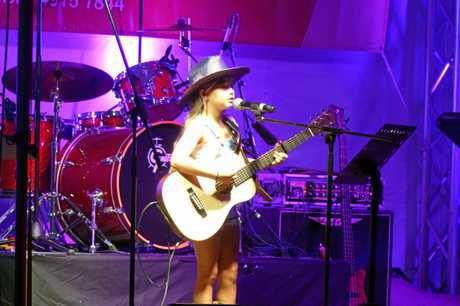 MORE than 1000 people attended the Boyne Valley Country Music Campout held at Ubobo at the weekend. 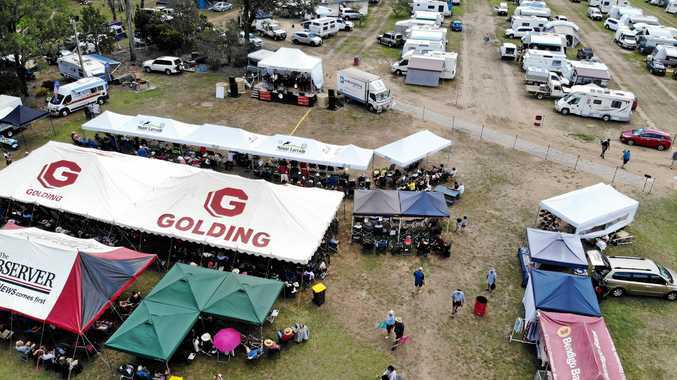 Now in its eighth year, the volunteer-run festival had 400 campers stay from Friday to Sunday for a weekend of live music. Gladstone region Mayor Matt Burnett arrived on Sunday morning with country music star Adam Harvey. 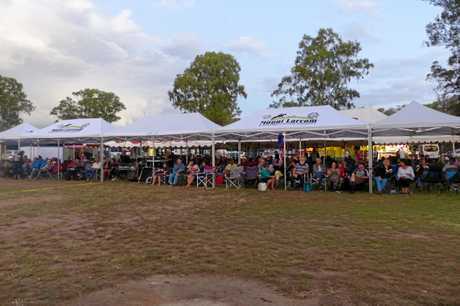 Harvey was performing as the headliner of the Band Together Bushfire Benefit Concert, but before leaving the Gladstone region he stopped at Ubobo for a special performance. The youngest artist who made one of the biggest impressions was nine-year-old Amy Ryan, who also plays the guitar, from Chambers Flat. After a big night on Saturday, campers were treated to a Poets Breakfast cooked by the Boyne Valley Lions Club. Event coordinator Jeannie Kleynhans said they already have bookings for next year and the 2021 campout. Ms Kleynhans helped start the event in 2012 with Gladstone resident and musician Jack Viljoen. Now living in the Gold Coast, she said the event was getting bigger and better every year. "We've had many who came the first year and have returned every year since,” she said. Promotional material captured by Broadcast will be shared on CAMPR social networks. Gladstone Area Promotion Development Limited chief executive Darryl Branthwaite showed the Broadcast crew around the Boyne Valley at the weekend. "The content will be for our own website and the Boyne Valley website, and it'll get shared on the CAMPR platform,” he said. Mr Branthwaite said the country music campout was a huge success. The event raised money for groups, including for prostate cancer awareness and research and the Boyne Valley and Many Peaks rural fire brigades.